Crap has definitely hit the fan. As Daisy and Simmons are cut off from escape, they find themselves dealing with a situation that somehow grows worse and worse. Coulson remembers only a few fragments of the real world. With those fragments, he has always known something is wrong, and Hydra is evil, but he’s a bit baked in the head too, thinking he’s avoiding Hydra mind control by making his own soap. Still, he is a bit more of himself again, which gives Simmons hope for Fitz. What she doesn’t take into account is either how Fitz doesn’t have Coulson’s advantage, a’la Tahiti, and how Aida has specifically molded Fitz to serve her. Aida is “Ophelia” and “Madame Hydra” in the Framework, the ruler of the world, and she’s absconded Fitz’s affection and devotion for Simmons by overwriting herself in Simmons’ place. The narrative she’s given to Fitz is that there is another world, “the other side,” where Shield won, Hydra lost, and she was treated as less than human. Technically, all true, but used to support the great lie that is the Framework. In Fitz, her creator, she has a powerful, dedicated protector, ready to do anything for her. Much like Fitz in the real world, but far more brutal and savage. I wonder just what Aida changed about Fitz to achieve that. I can think of two possibilities: either this Fitz is a simulation like Aida herself, with the real Fitz locked up somewhere, or she changed something about Fitz’s history with his father. In the real world, Fitz has gotten past how his father abused and abandoned him, but it’s still a source of pain. Or maybe this version of Fitz killed his father. I don’t know, but whatever it is, he is now a vicious, remorseless, sadistic killer. He is far more different from his original self than the others are, and he belongs to Aida entirely. When Fitz learns about Simmons, the subversive from the Other Side, he makes it his personal mission to find and kill her himself. Looking for help to get out of and take down the Framework, Sky and Simmons look for its maker, Radcliffe. For that, Daisy and Ward head back to the Triskelion, where Daisy can hack into Aida’s personal files. It works, but not only is his location in the middle of the ocean, but May and some guards nab Daisy before the two of them manage to get back out of the building. Daisy goes peacefully, and is assigned to the task force Fitz is leading to hunt Simmons. And who do they abduct first for this, but Mack. Aida’s handiwork, of course. She has Fitz hunting two people from the other side, and targets their real-world friends. The only good news there is that he’s so ashamed of what he did that he can’t look his daughter in the eye, and joins the Resistance to fix that. Speaking of, Ward arranges for Simmons and Coulson to join up as well, and they aren’t the only familiar faces. Finally! We see Mace, and he’s apparently the leader of the Resistance, aka Shield! Yes! Finally, something good! Of course, he’s been hardened by years of fighting a desperate war, with little to show for it outside a handful of potential Inhumans he’s given a safe refuge to. We saw in the last episode the Lincoln is still dead, due to “testing,” and we got another name drop: one of the Koenigs, Billy, died giving Mace the location of a secret base for Shield’s use. This is a nightmare world, so I imagine virtually all of the agents’ real-world friends have met a similar fate. Burroughs is still alive, which was surprising, but so many others are undoubtedly dead. Needless to say, resources are stretched thin, but Mace and Ward still have hope of building the Resistance into something that can actually win the fight against Hydra. To that end, Ward sees Daisy’s wish through, to find Radcliffe, hoping he can bring down Hydra. He, Simmons, and Coulson go to the coordinates Daisy found before she was captured. Radcliffe apparently got an award for working on an Inhuman cure or something like that, and then vanished. Which makes some sense when one considers how Aida killed him in the real world. His consciousness is apparently preserved in some twisted paradise island alongside Agnes. When Madame Hydra herself arrives with Doctor Fitz and some troops, Radcliffe’s displeasure is evident. This world is apparently nothing like what he intended, and he clearly does regret the Framework’s creation now, much as Aida surmised he would when she killed him. Now, even the golden part of his cage is taken away from him, as is Agnes. Logical inconsistency detected, Fitz. Aida claimed that Agnes was “the other side’s” version of herself. But then, where is “their” version of Radcliffe? They just arrested “Sky,” so where’s “their” version of her? Ah, but she went into the simulated version of Sky, so if Aida is telling the truth about Agnes being her other side double, then why is Agnes not in Aida? I doubt that logic would have worked, though. Fitz is so different here that he simply shoots Agnes. Simmons pleaded so fervently for Ward to spare him when he had Fitz in his sights, and the crux of that argument was that nothing, not even brainwashing, could change Fitz so much that he would murder an innocent woman in cold blood. But he does. And all she can do is scream, and flee the horror and death coming for them. Radcliffe tried to defy life, death, and pain, and the woman Radcliffe tried to save is killed by his own creation. Now he, himself, is being tortured, and by his own friend, who neither knows nor cares about him. Neither does Fitz care about Daisy, who is next up for torture. Her pleading, her assertion that they are friends, rolls off him without the slightest effect. 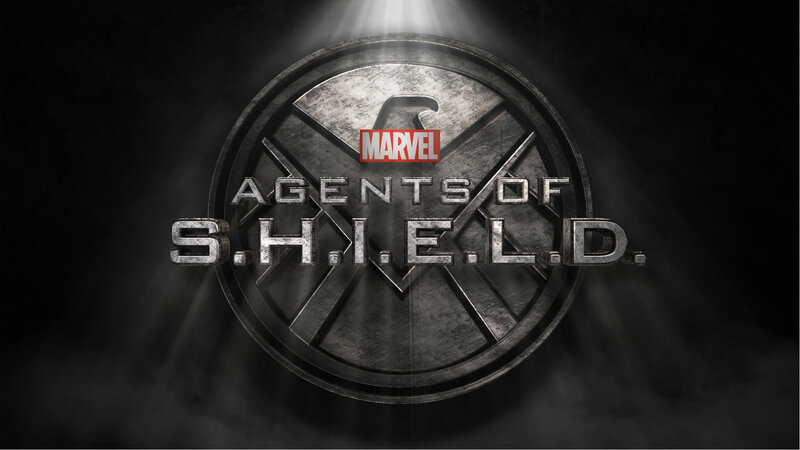 So, Agnes is dead, Aida rules the world, Fitz is her number two and May is his number two enforcer, and they’re torturing, likely killing, Radcliffe and Daisy, Simmons is on the outs with Mace and Ward after having confessed her love for Fitz, whom they only know as a psychopath, and the only good things to happen are how Coulson and Mack are both with them, and they have the location for where their real bodies are being held, but two more soldiers aren’t worth that much, and they don’t have the means to communicate with the real world. Aida has Fitz working on something called Project: Looking Glass. She mentions that she needs the means to return to the other side and destroy her enemies. What does she mean by that? Is this not just a copy of Aida, but Aida herself? Is she unable to get out for some reason? Is Fitz’s creation the means to sending them all home, then? So, the Doctor is at a university. He’s there, and he’s apparently been there for a number of decades, giving lectures about pretty much anything he wants. Nardole is there with him, the Tardis is in his office, and his desk has pictures of River Song and his granddaughter from the first series. Into this office, Nardole guides a young girl, Bill, because the Doctor want to talk to her. She isn’t a student, she just works there serving food, but she comes to his lectures, and he notices how she smiles when he says something she doesn’t understand. She can’t really explain it outside simply liking them. So he appoints himself her personal tutor, getting her enrolled and educating her himself. Life is good, things are just going along fairly normally, but there are a few interesting things. When Bill sees Nardole and the Doctor sneaking off, underground, around some strange door with strange markings. Or when the rug she gives the Doctor is suddenly partially underneath the blue box in the corner that supposedly needs a crane to be lifted. Or when Bill suddenly finds a box of pictures of her mother, who died when she was a baby, and then notices the Doctor’s reflection in one of the pictures. Curious things, all. Bill meets a girl, Heather. Nice girl, something of a loner, always wanting to leave, and she has the mark of a star in her iris. The two of them are friends soon enough, and Heather shows Bill a puddle. A puddle, out in the middle of the ground, nothing there to have created it, and they haven’t had rain for weeks. But most peculiar: there’s something wrong with your reflection when you look at it. Bill can’t place what it is, but it’s strange, which, of course, means “dangerous” in the Doctor Who lexicon. What the girls don’t see or hear is the consciousness within the water, saying, “Pilot detected” and “Passenger selected.” They happen to see each other at the puddle again later, but as Bill is coming around the corner, Heather vanishes, taken into the puddle, drowned, eaten, absorbed, etc. And the chase begins: wherever Bill goes, the water flows after her, taking Heather’s shape and trying to take Bill as well. She’s lucky the first time, the thing seems to be getting its bearings at first, but once it does, the desperation of the situation quickly escalates. Bill runs to the Doctor, which was certainly the smartest thing she could have done. She told him about the puddle and Heather earlier, and he voiced his thoughts out loud before trying to convince her to get away from it and never go back by trying to make it sound mundane. Small detail: he’d already mentioned how the water was mimicking whoever looked into it, thus what was wrong with the reflection, namely, it wasn’t a reflection. Also: he mentioned that the water wasn’t actually water, it was some semi-intelligent liquid piece of a spaceship. So, if anyone could help Bill, it’s him, which, he does. First he takes her to the vault she saw him and Nardole standing by earlier. Apparently, he’s been guarding something, and he’s concerned the water-alien-creature that looks like Heather now might be after it. He’s wrong, it’s not, it’s after Bill, but said creature gets in without difficulty, and they have to run away again to escape. So they go to Australia, and it catches up to them within a minute. So they go to a planet at the other end of the universe, millions of years in the future, and it catches up with them again within moments. Beginning to run out of options for dealing with their tenacious pursuer, the Doctor resorts to drastic measures: he lures it towards a Dalek in the middle of the Time War. And even that fails. Whatever the heck this thing is now, it can travel time and space go straight through a Dalek like it’s nothing, and it wants Bill. It really wants Bill… because that was the last living thought of Heather, the girl it swallowed. Heather wanted someone to want her, and having found that, in whatever capacity, in Bill… well, the last trace of her can’t let go of that, and it’s fueling what the creature does, directing where it goes. The only way for Bill to get free of this relentless pursuer is to let go of Heather and refuse to go with the creature. Bill says the words, but she’s saying good-bye to her friend. That’s a hard thing under the best of circumstances, and the creature makes an argument, touching her, showing her everything they can go and see together. It is so difficult to let go, to truly say good-bye, when you have the wonders of the universe laid at your feet. Bill does so anyway. The hardest thing she’s ever had to do, I imagine. She says bye to Heather, and whatever is left of Heather says by to her. Then it melts away into a puddle. Gone. After, Bill is bemoaning how she was too scared to go and see everything, and the Doctor mentions how fear is good and rational in this particular instance. Bill sort of wants to see her friend again, but the Doctor doesn’t see how that can happen, to which Bill looks at the Tardis, thinking of going away with him. The Doctor says no, Bill has a life to get on with, but Bill can’t forget all of this… unless the Doctor makes her, of course. She protests, quite rightly, as memory wiping is a dirty trick and a tremendous violation, and she doesn’t want this experience taken from her. She finally submits, but asks him to consider what he’d feel if he were on the receiving end. That might be a more powerful argument for him now, thanks to his final parting with Claire, where he lost all his memories of her. Either way, he decides not to, and tells Bill to leave before he changes his mind. After that, he tells the pictures on his desk to shut up, and tells the Tardis to shut up when it literally chimes in, saying he “doesn’t do that anymore” and “has promises to keep.” I’m guessing that refers to why he’s been disguised as a university professor for several decades now, guarding a vault that has something very dangerous inside. But… come on, this is Doctor Who! Of course he’s going to change his mind and start off on a brand new adventure with Bill at his side! That’s what he does! Obviously, there is some danger that he must guard against, but, for better or worse, he’s not meant for standing guard in one place. He’s a wanderer, not a sentinel. You know, I actually haven’t much enjoyed Capaldi’s time as the Doctor, for the most part. I’ve enjoyed other characters, like Claire, Danny, River, and Ashildr, but I’ve felt Capaldi’s Doctor himself was always lacking something. He just hasn’t have the same oomph factor that would make him comparable to Tenant, Smith, Eccleston, or even John Hurt. Capaldi’s Doctor has been just a little bit less than all the others, I’ve found. But put him together with other great characters, in some dire situation that somehow explores wonders and terrors… well, it’s still a winning formula, and it feels like they finally just hit their stride. …so it figures that this is the end of Capaldi’s time as the Doctor, just when I’m starting to like him. Heh. I wonder what the next Doctor will be like, and how the show will change again. This entry was posted in This Week on TV and tagged Agents of Shield, Doctor Who. Bookmark the permalink.